It’s that time of the year. A fresh start, a new beginning, a hopeful presence in the air. Yes, it is still the dead of winter. Yes, it is cold (damn cold, actually in some parts of the country). Yes, it is dark, dreary, and seemingly soulless. And yet, today I took a walk in the woods near my house and discovered a wealth of life and a wealth of hope in that glimpse into living in the presence. We were fortunate to have a gorgeous blue sky day; a rarity in January when it is often cold and wet. Today, however, was a magical day and a great day for new hope and new starts. 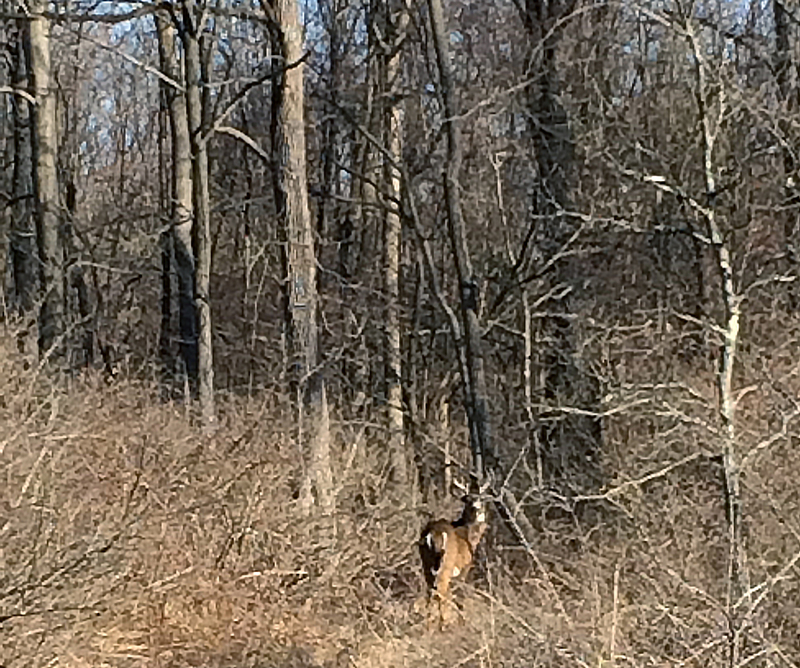 On that walk I was blessed to see all manner of creatures not the least of which was this lovely buck. His father, for it had to be either his father or grandfather, was far swifter and I couldn’t get a photo of him. The older of the two had a very handsome and large rack with a magnificent ruff and was far larger but much swifter and far more clever at hiding than his younger counterpart. What a wonderful way to start the new year with a glimpse of nature’s beauty.